Mr. Parker has been a passionate leader in community mental health for 34 years, including more than 20 years at the helm of NewBridge Services. Through his vision and conviction, NewBridge transformed from a small mental agency into a multi-service community nonprofit that serves more than 10,000 clients each year in northern New Jersey. Making affordable housing a priority, Mr. Parker spearheaded the development of more than 200 units primarily for individuals and families with special needs. He served on former Governor Richard Codey’s 2005 Task Force on Mental Health, which created the state’s Special Needs Housing Trust Fund. 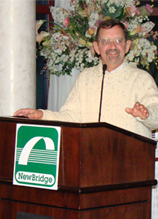 Mr. Parker fostered relationships with other nonprofits, municipalities and government agencies that now turn to NewBridge to assist on projects. He has numerous honors, including a 2012 Ann Klein Advocate Award for his commitment to creating affordable housing for those with special needs. Mr. Parker holds a Master of Public Administration degree from Fairleigh Dickinson University and a bachelor’s degree in community leadership and development from Springfield College. His numerous leadership roles at nonprofit and advocacy groups include the New Jersey Association of Mental Health Agencies, the New Jersey Mental Health Institute, the Supportive Housing Association of New Jersey, the Morris County Mental Health Coalition and the Passaic County Advocates for Supportive Housing. Ms. Borden brings more than 30 years of community mental health leadership and experience to her current role as Chief Operating Officer for NewBridge Services, Inc. She oversees the day-to-day operations of the organization’s counseling, education and housing services; is responsible for regulatory compliance and quality management; coordinates disaster mental health responses; and represents the organization in local, county and state-wide planning efforts. She serves on the Morris County Youth Services Advisory Council, Morris County Acute Care Systems Review Committee, Professional Advisory Committees for the Morris and Passaic County Mental Health and Substance Abuse Advisory Boards, the New Jersey Disaster Response Crisis Counselor Advisory Board, the Passaic County Up-County Coalition, and the Morris County Human Services Response Network. Previously, Ms. Borden served as the assistant director for Clinical Services and associate executive director at NewBridge; administrative director of Mental Health and Continuing Care Services at East Orange General Hospital, and branch director at The Devereux Foundation. She is a member of the National Association of Social Workers, the New Jersey Association of Mental Health and Addictions Agencies, the New Jersey Board of Social Work Examiners, and the Network for Social Work Managers. She earned a Master of Social Work at the University of Connecticut, School of School Work and a BA in Cultural Studies at Bates College. She is a Certified School Social Worker, a Licensed Clinical Social Worker, a Certified Social Work Manager, and a Disaster Response Crisis Counselor. Ms. Borden currently volunteers as a board member for the Passaic County care management organization, Circle of Care for Children, and Families of Passaic County, for which she is also Secretary, Treasurer and Chair of its Finance Committee. 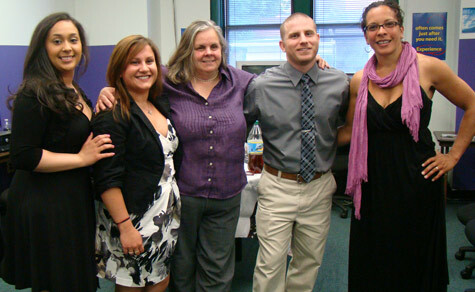 In addition, Ms. Borden is also an instructor in macro social work practice at Rutgers University. As medical director at NewBridge Services for the past 12 years, Dr. Talbo brings nearly 40 years of psychiatry experience to the agency. Prior to joining NewBridge, Dr. Talbo was staff psychiatrist at the Essex County Guidance Center/Community Mental Health, Greystone Park Psychiatric Hospital, Jersey City Medical Center and Mount Carmel Guild/Catholic Community Services. She also previously served as the medical director of the Clifton MHS/Serv Centers. Dr. Talbo is a member of the American Psychiatric Association, New Jersey Psychiatric Association, Tri-County Psychiatric Association, Philippine-American Society of New Jersey and the Association of Philippine Physicians in America. She is a life member of the University of Santo Tomas Medical Alumni Association of America. Certified by the American Board of Psychiatry and Neurology, Dr. Talbo is past president of the Essex County Hospital Center medical staff. She earned her Doctorate of Medicine from the University of Santo Tomas in the Philippines. Walter Dudzinski earned an MBA at The Wharton School, University of Pennsylvania, and has held several chief financial positions during this 30-year career. Mr. Dudzinski received his undergraduate degree from Rutgers University in biology and psychology and worked three years in a residential addiction services setting. Mr. Dudzinski is a board member of NAMI Hunterdon, the Hunterdon County Mental Health Board, Collaborative Support Programs of New Jersey, NJPRA and the Tri-County Care Management Organization. Mr. Dudzinski was appointed by former New Jersey Gov. Corzine as a trustee of Senator Garrett W. Hagedorn Psychiatric Hospital, where he served until its closure. He is also an accomplished public speaker for NAMI New Jersey’s In Our Own Voice program, addressing the stigma of living with a mental illness. Mr. Lacouture started his career at NewBridge in 1985 as a van driver and pre-employment training instructor for NewBridge Jobs Plus — becoming program manager within a year. Following a stint as director of Homeless Outreach Service at the Mental Health Association of Morris County, he returned to NewBridge in 1993, as director of Administration. Mr. Lacouture oversees state and county contract management, regulatory compliance, human resources, and information technology. Mr. Lacouture earned an Associate’s Degree in Business Administration from the County College of Morris, a Bachelors Degree in Sociology from Montclair State College, and a Master of Social Work from Rutgers University.